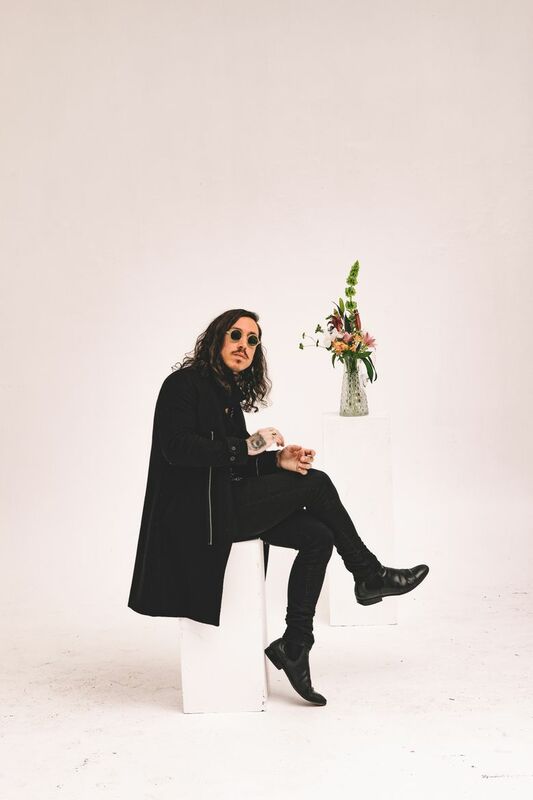 Seattle native Noah Gundersen plays at the Neptune Theatre on Nov. 17 and 18. It’s the last day of August, and though Noah Gundersen is three weeks from dropping his third studio album, “White Noise,” and embarking on a nationwide tour, he has a more immediate concern on his mind: a hefty meatball sandwich from Mean Sandwich in Ballard currently threatening to seriously cramp the rock-star look Gundersen owns. In between precarious bites, Gundersen, 28, explains how he became close with another young Seattle creative, Canlis Executive Chef Brady Williams, who hosted Gundersen’s album release party at his restaurant in September. “You became a foodie,” Williams interjected, battling his own sandwich. Since 2008, Gundersen has been honing his own attention to detail with 11 albums, culminating with his masterful “White Noise,” out Sept. 22. Gundersen returns from tour to play the Neptune Theatre on Nov. 17 and 18, with Phoebe Bridgers set to open the first show and The Hollers opening the second show. The result of a brilliant partnership between Gundersen and producer Nathan Yaccino, “White Noise” was recorded just a few blocks away from Mean Sandwich at Yaccino’s studio, affectionately named The Baitshop. It was a grueling process that saw the pair putting in extra hours to steer Gundersen’s sound away from his singer-songwriter roots and refine it into something with an aural edge to match the emotional one that is Gundersen’s trademark. That might be a shocking thing to hear for fans who love his subdued debut album, “Ledges,” and 2015’s similar “Carry the Ghost,” but Gundersen said that if time and money were no object he would have liked to do things differently. Part of the satisfaction Gundersen derived from this last time around was finally being in a position to do things his way, though credit him for bringing in legendary engineer Bob Ludwig to master the album and give it a slick but not saccharine sound. After the rush of putting something so personal out into the world, Gundersen isn’t sure how exactly he wants to build on the success and sonic departure of “White Noise,” but he seems eager for the challenge.